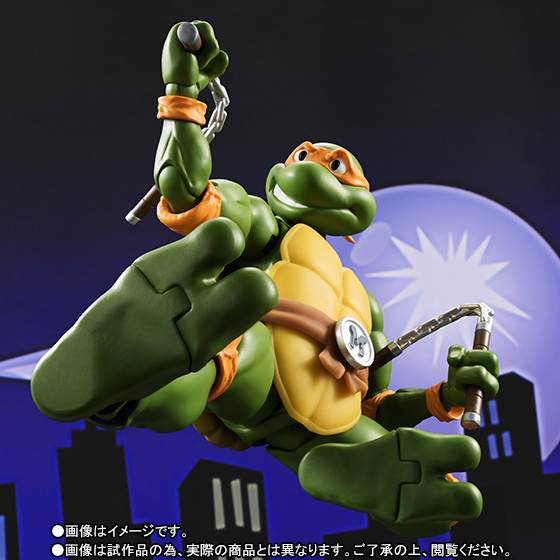 Finishing off the turtle team is party dude, Michelangelo. 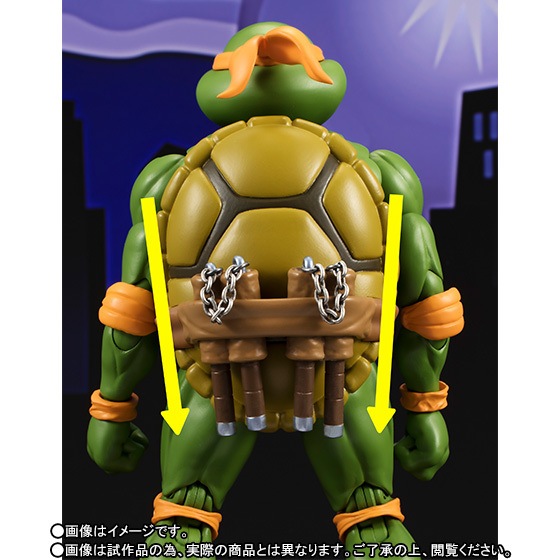 Includes his trademark nunchaku, grappling hook, two different heads, and extra hands. 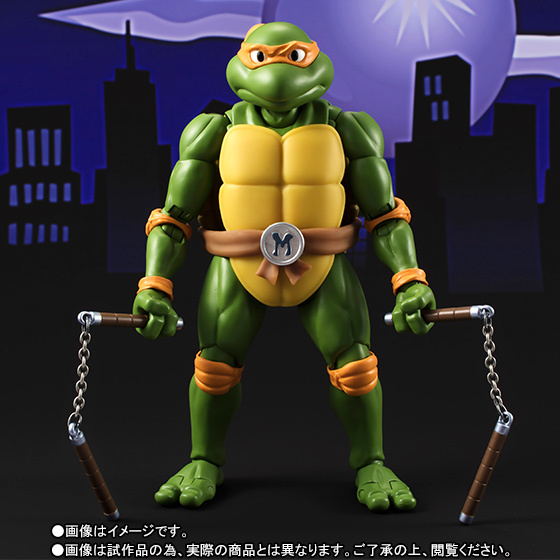 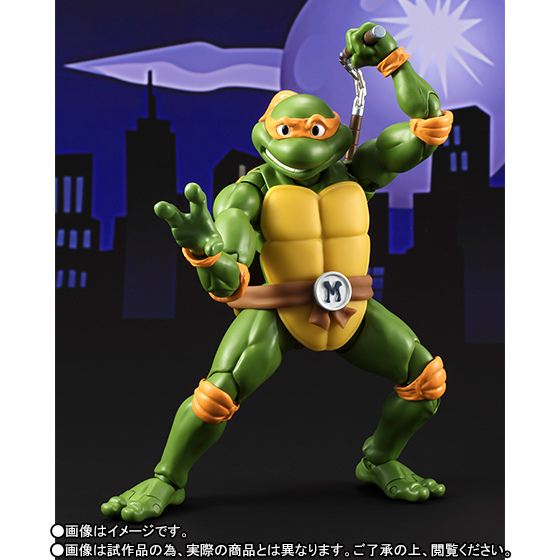 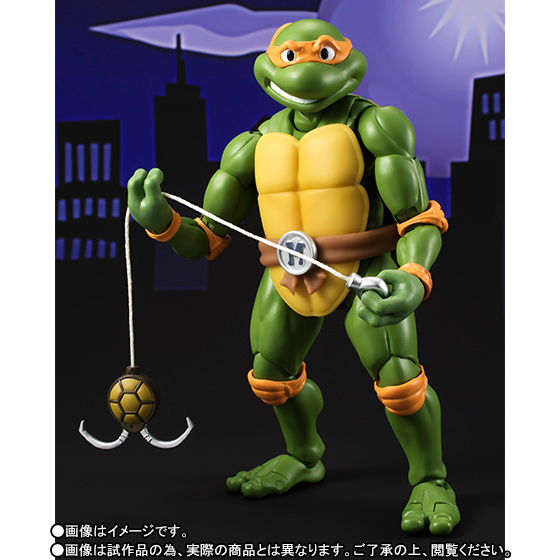 This is being sold as a Tamashii Web exclusive in Japan. 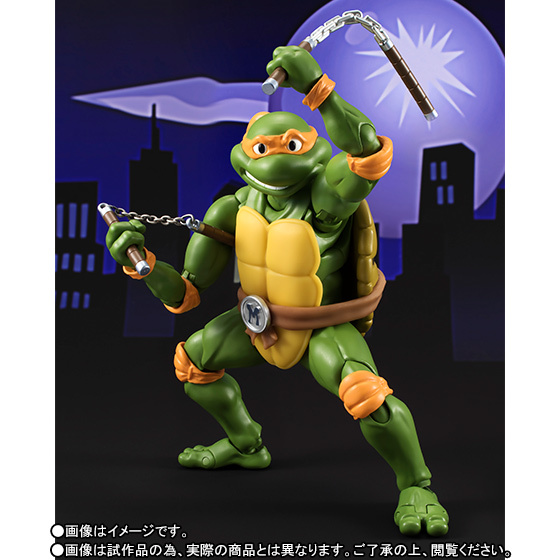 Coming November 2016 for 7,020 yen.